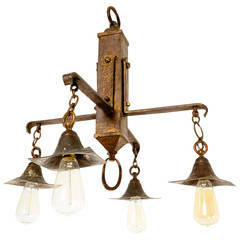 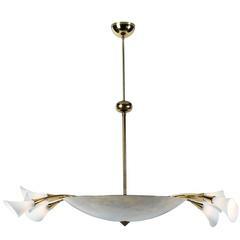 Suspension Aura in hammered brass handcrafted piece, subtle and exceptional. 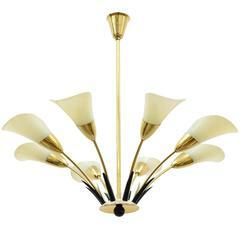 Vintage Venini Calla Lilly chandelier. 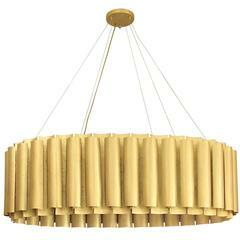 Suspension Tuba with hammered aged brush brass structure. 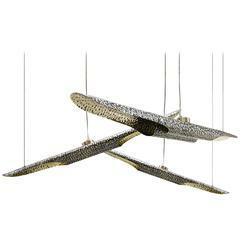 Unit price: 2600,00€.